You have an idea you want to spread to the interenet, where do you start, how do you make it worth your while and how do you get to the people that care. This article seeks to answer these questions. For some marketers, design is one of the last things they look at and it's sometimes hard to keep up with the changing design climate. This article helps you know which tired old design trends you should retire from your site. 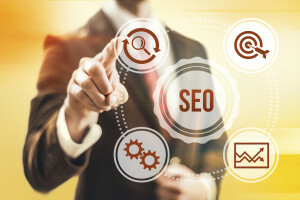 Reporting on organic seo performance can be tricky, almsot magical. This article takes the magic out of it and give you the top metrics you used be reporting on weekly. About the Author : Richard Norris. Richard is the CEO of SiteZero , an Australian based Digital Marketing Services organization. Richard loves technology and is the Ecommerce evangelist at SiteZero. Richard Started his first Business in 1985 and entered the online world in 1998. If you utilise numerous analytical tools that go into your website, like heat mapping, google analytics, etc., you should consider using Google Tag Manager, it's a streamlined approach to measurements. This article goes through GTM in detail. There is nothing worse than cart abandonment but how can you stop reduce it? This article gives you 9 ways that you can improve your site and help reduce your cart abandonment. Utilising Google Analytics to best measure your e-commerce performance is paramount for all online businesses. This article gives you a step by step guide to creating a dashboard in Google Analytics that gives you the best e-commerce data quickly and efficiently.